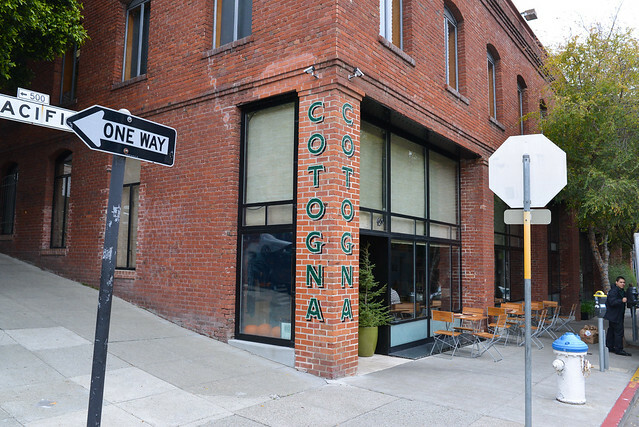 Cotogna opened just over three years ago, the next-door sibling to two Michelin-starred Quince. 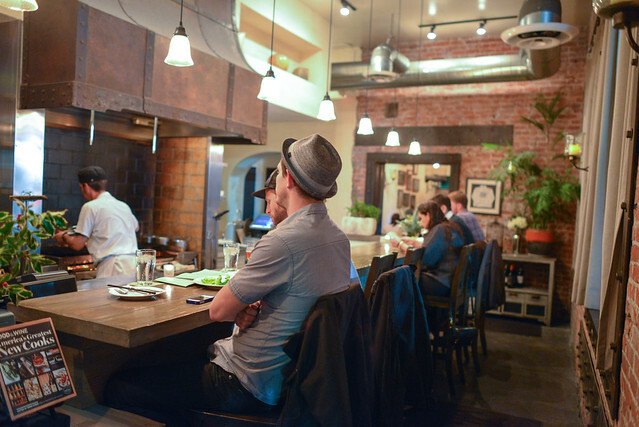 Cotogna’s food is a comfortable, rustic Italian style differing from Quince’s more modern, refined Italian. The commitment to quality and strong execution is shared at both places; they even share a kitchen. I’ve been once to Cotogna almost three years ago but figured it was time for a revisit. For lunch, the restaurant offers a reasonable three-course prix fixe menu for $24; my mom ordered that while my cousin and I opted for a la carte options. 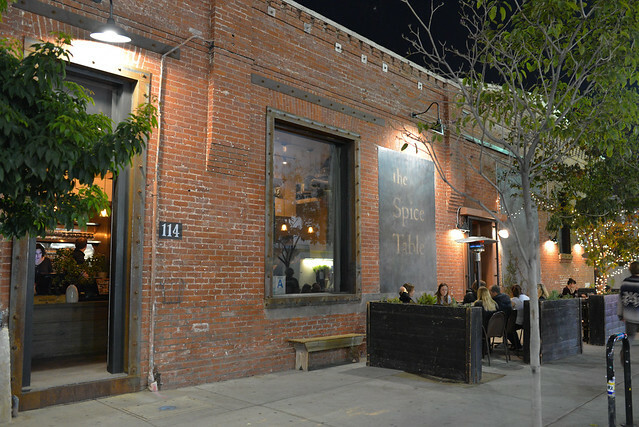 The Spice Table opened about two and a half years ago and quickly made its mark on the city being named one of the city’s best new restaurants by a handful of publications. Its most notable accolade was when chef Bryant Ng was named a 2012 Best New Chef by Food & Wine, propelling him and the restaurant into national awareness. While the restaurant still feels relatively new, it will be meeting a sad and unique demise at the end of the year to pave the way for a new metro station. 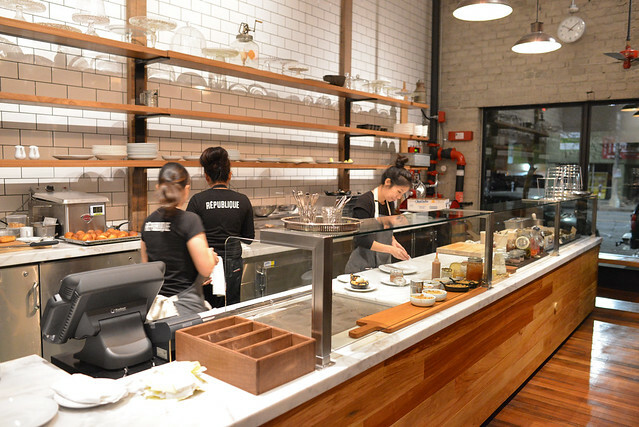 I revisited the restaurant one last time to sample Ng’s fiery Southeast Asian flavors. Influences from all around Asia can be found on The Spice Table’s menu, as well as a small but well-curated craft beer list (and wines!) featuring local brewers. I’ve always found San Francisco to have a surprisingly lackluster Japanese food scene, made very noticeable once I moved to Los Angeles. Comparing some of the most oft-eaten Japanese foods like sushi and ramen – SF hasn’t really had any noteworthy standouts. However, I do think it’s been catching up in recent years. One example is Akiko’s, a restaurant that’s been around for almost 20 years but just underwent an ownership and chef change. My mom’s been following the restaurant closely ever since a stellar Michael Bauer review in September. 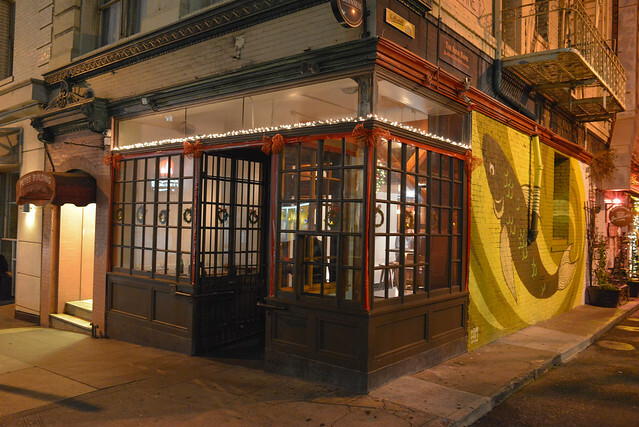 The food’s more serious and passionate now and features a pretty extensive menu. Typically I feel like the jack-of-all-trades Japanese restaurants lack focus on any one particular item but Akiko’s seems to be able to handle it. Fried foods, grilled foods, noodles, rice bowls and a vast sushi/sashimi selection make up the menu. My mom went with the a la carte option while my dad and I opted for the omakase priced in an $80-100 range (with a few supplements). The $10 corkage was pretty sweet. 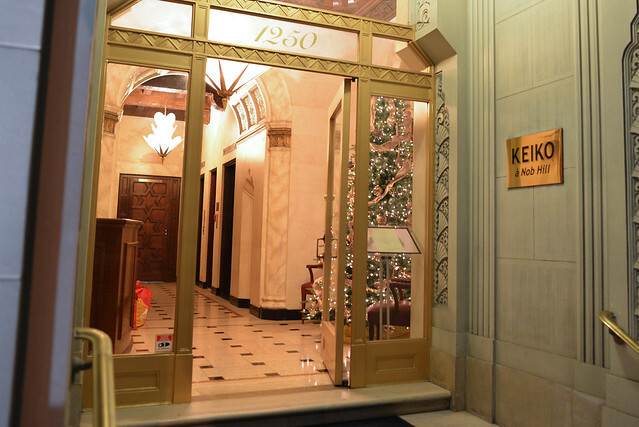 My dad’s mentioned Keiko à Nob Hill a number of times in the past as a potential restaurant, but we didn’t try it until this most recent trip to celebrate some November birthdays. 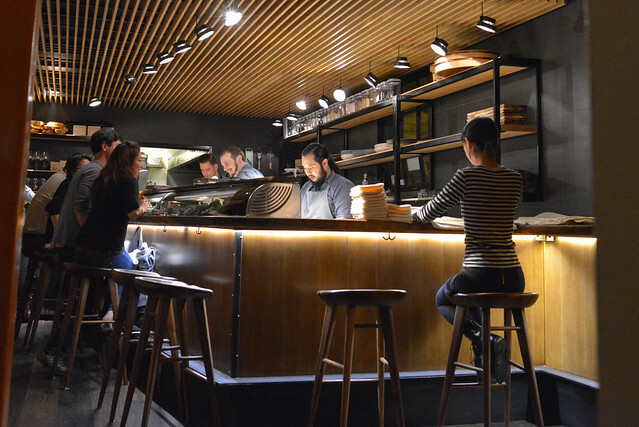 Chef Keiko Takahashi and partner Seigo Takei opened the restaurant at the end of 2011; while there hasn’t been a ton of buzz surrounding the place, it has garnered a Michelin star in the last couple of guides. 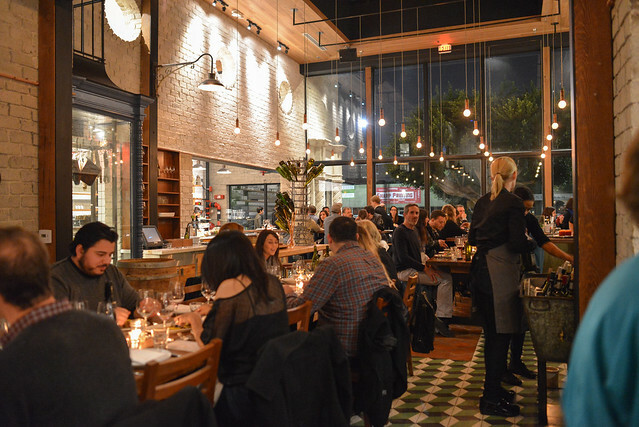 Located in the ritzy Nob Hill neighborhood and in the old location of the venerable Charles Nob Hill restaurant, it looks and feels very expensive. Especially with their tasting-menu only and fusion French/Japanese fine dining. However, its 6-7 course menu is priced at a not-unreasonable $95 a head and comes with some of the best service I’ve had in any restaurant recently. 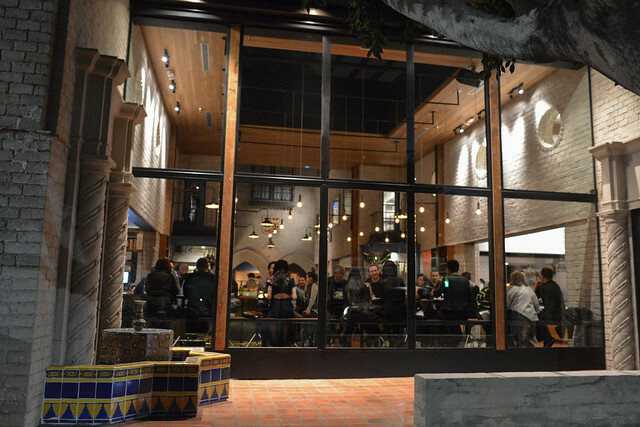 Chef Walter Manzke (Bastide, Church & State, countless collaborative/pop-up events) has become one of my favorite chefs in Los Angeles over the years, so I’ve been eagerly awaiting this opening for a long time. Taking over the location of famed Campanile & La Brea Bakery, Republique’s menu is steeped in French influences with a lot of dishes reminiscent of the classical Bistro fare that Manzke was cooking at Church & State. 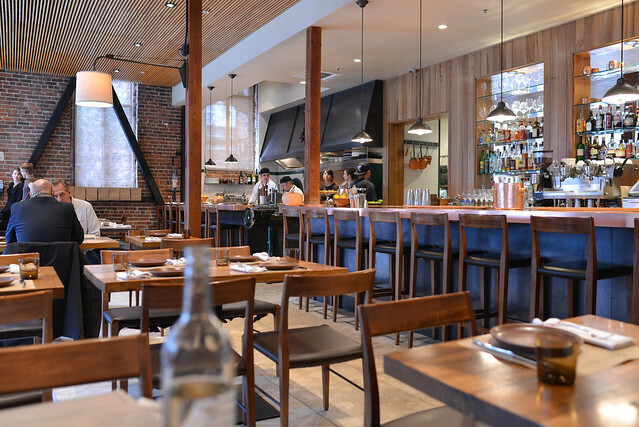 The hottest seats in the restaurant, literally, are the four at the chefs counter. 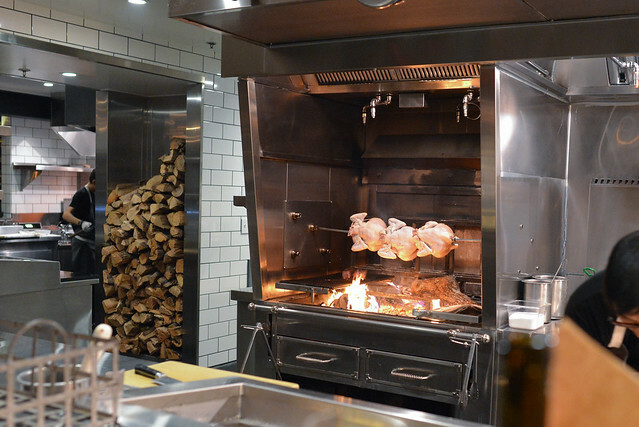 These provide a front-row glimpse into the action in the kitchen, directly opposite of the large wood-burning oven. Even on this chilling Los Angeles weekend, these seats were kept very warm all evening.